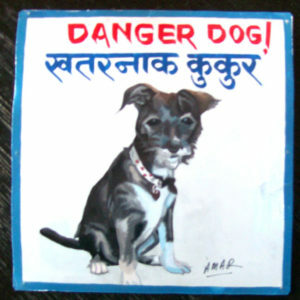 These mixed breed Terriers are currently available. 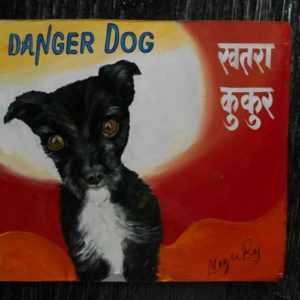 Megh Raj Thapa chose a bright red background to highlight this pretty young Terrier mix. 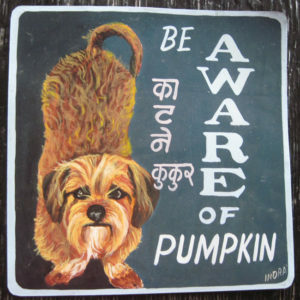 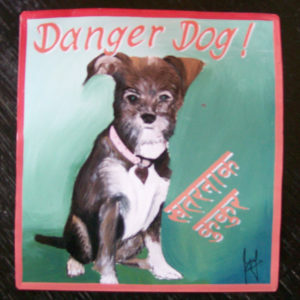 The sign is 12″x12″ and hand painted on metal. 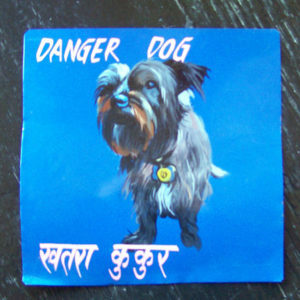 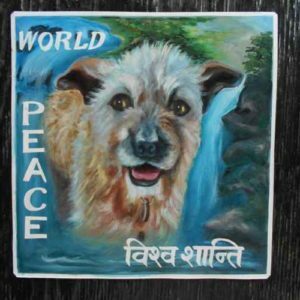 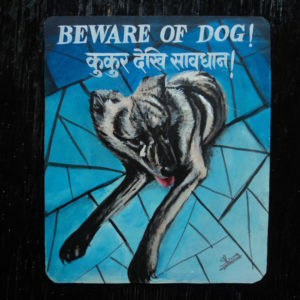 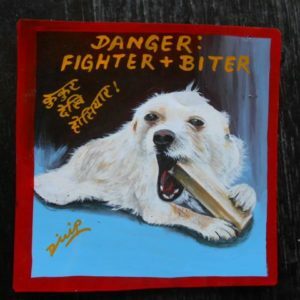 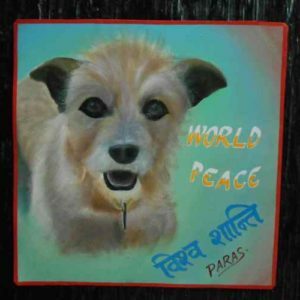 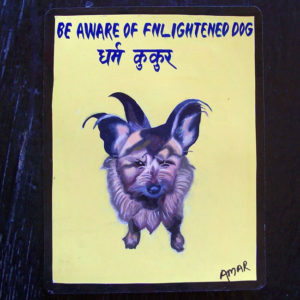 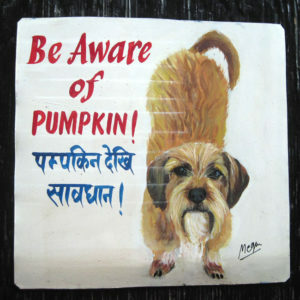 Paras is a new artist in the Nepal Art Dog family and this is a fine example of why he will continue to paint for the project. 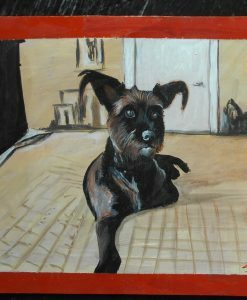 Meadow is 12″x12″ and a very pretty mixed Terrier who believes in world peace! 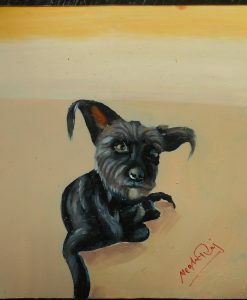 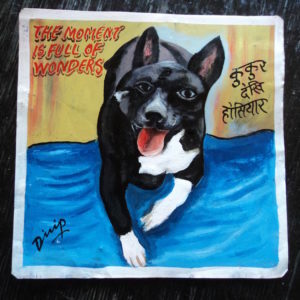 Sagar Bitsa hand painted this portrait of Meadow, the Terrier Mix. 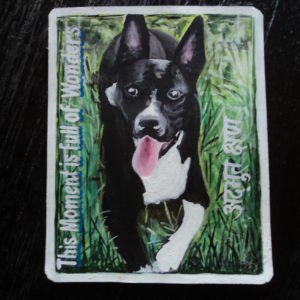 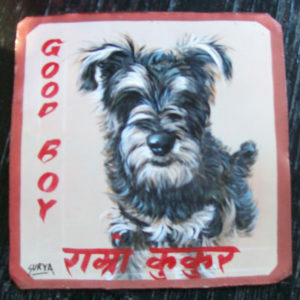 This cute dog’s portrait is 12″x12″.